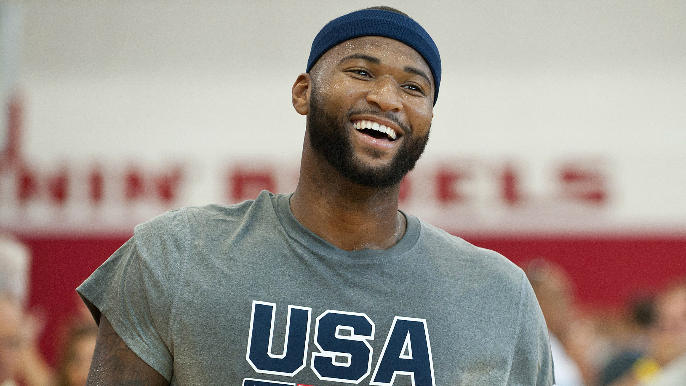 DeMarcus Cousins hopped on KNBR 680 Thursday afternoon for a wide-ranging conversation with Bob Fitzgerald. The most interesting tidbit had nothing to do with basketball, however, but rather Cousins affinity for stand-up comedy. On Thursday night, Cousins is hosting the third annual “Boogie’s Comedy Slam” at the Paramount Theater in Oakland. “Just being a kid I grew up in a household where we watched a lot of ComicView. It’s just something I’ve always enjoyed, and that’s where I believe it started for me,” Cousins said. “From there, the whole idea came from the Shaq comedy specials. Cousins said his favorite standup growing up was Martin Lawrence. He also believes there’s one player on the Warriors who might be able to do a short set. Listen to the full interview below. To hear Boogie on standup, start from 10:00.